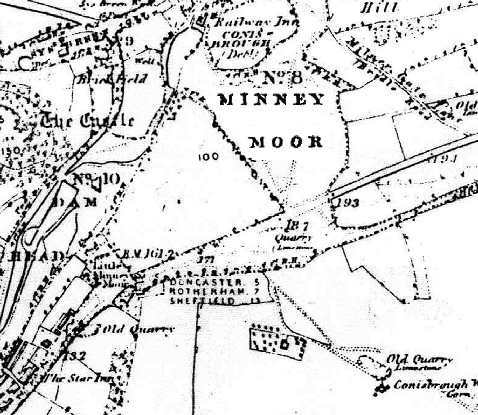 There is a place called Minney Moor in Conisbrough, West Riding, Yorks. It is a small rough piece of ground in the town near the castle (which was the inspiration for Ivanhoe). As yet no one has been able to establish the reason why it is called Minney Moor but enquiries are continuing. I found this in "History of the town and borough of Penzance" by P.A.S Pool 1974. Mr Pool was an Hon. Res. Fellow, Institute of Cornish Studies. I quote, " Following the departure of the Romans, Cornwall had some centuries of independence under native Celtic princes. This was the age of Arthur and of the Cornish Saints. In AD930, Saxon King Athelstan conquered Cornwall and allegedly founded a College of Priests at St Buryan where there was previously a Celtic religous foundation. 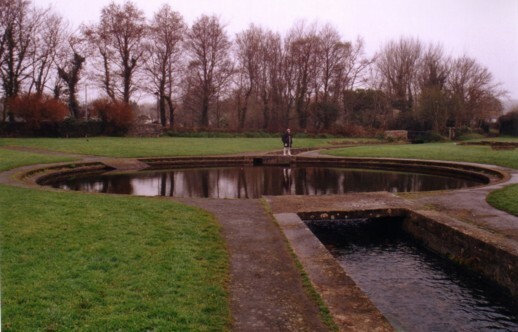 It seems likely there was another such Celtic religous settlement at Penzance, since the place-name Mennaye or Minney, around the lowest course of the Lariggan stream is Cornish Meneghy for monastory. 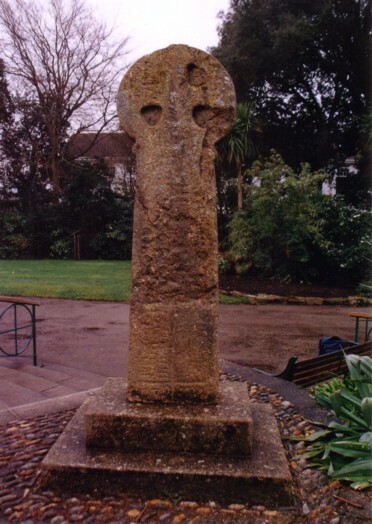 There is more substantial evidence of a Celtic religous settlement in the splendid inscribed cross now in Penlee Gardens clearly dated earlier than 11th century. It is 7feet high and originally in Greenmarket as the market cross and previously located at 'Park-an-grouse' (Crossfield). This field name near Greenmarket was between the modern public buildings and Clarence Street." There was a map of Penzance pre1900, accompanying this page clearly showing 'Minney' as a place alongside Lariggan Stream. Penzance did not exist as a place prior to 1284. The area of Minney is still there. There is the nearby Penzance and Newlyn Rugby club whose ground is called 'The Mennaye Field' and there is a Mennaye Street nearby. The Minney guesthouse is also nearby in Alexandra Gardens (details in Curio Corner). A search on the internet also found references to to a Minney Cottage in Madron, a village just North of Penzance in the Kellys directories for 1883 and 1893 but not in 1856. Also in Cornwall there is a field called Minny (or Mining) Moon in the parish of Crowan. It is believed to derive from two old Cornish words 'myn' and 'mon'. Ordnance Survey map reference 599345. On the Isle of Man, in the parish of Rushen, can be found Creggyn Minney. The English translation from Manx is 'Small Rocks'. In Lane County, Oregon can be found Minney Creek (lat 44 11N long 122 34W). This creek flows into Gate Creek, northeast of Vida. The creek is named after one Benjamin Minney who homesteaded along it in the 1890s. In Broadview, South Australia there is a road called Minney Street. It is named after John Minney who died around 1943. He was one of the first councillors for the newly formed Prospect Council. John is the son of Jeffery Minney who arrived in Australia in 1852, together with his cousin William Minney. This information supplied by John Minney, great grandson of John. In Cardiff, Wales there is a Minny Street. The street dates from around 1882 and is believed to be named after the developer's daughter. In Twin Township, Ross County, Ohio, USA there is a rural cemetery called Minney Cemetery. The cemetery is about 9 miles southwest of Chillicothe, Ohio. Chillicothe is 45 miles directly south of Columbus, Ohio. The cemetery was evidently on the farm of T. Minney who owned a farm of 191 acres in that area in 1875 and it is called the Minney Cemetery for that reason. Like many old rural cemeteries it became the burial site for a number of neighbouring families. His farm is shown in an 1875 county atlas. He must be the Thornton Minney who is listed in the 1870 federal census as owning the property valued at $2900, 53 years of age with a wife called Melinda of about the same age. The census indicates that Thornton was born in Ohio. This information was supplied by the Ross County Genealogical Society. In addition a number of gravestone inscriptions were also supplied. These indicate that a family of Minney had been on this site since 1813. There is also a Minney Hill Road , in Ross County , Ohio. Minney's Creek (now Tooloonki Creek), New South Wales. According to local historians in Tabulam who say it was named after a Scottish miner, fossicker (Australian term for someone who pans for gold) or similar who panned and mined the creek. Minney Creek runs on a West, South-West course from Mallangee to the Clarence River. In addition there are 27 place references called Minnie (pool, river, creek etc). "There are several authorities one can refer to for Scottish place-name etymologies, the principal one being W.J. Watson's "History of the Celtic Place-names of Scotland" 1926 Edinburgh and London, reprinted 1993. One might also refer to Sir Herbert Maxwell's "The Place Names of Galloway", Glasgow 1930, but this is perhaps a less authoritative source. Otherwise, there are no satisfactorily thoroughgoing "dictionaries" of Scottish place-names. There are several reasons why the study of place-names in Scotland has lagged behind that of England, but not least is the scarcity of early documents for name-forms and the number of different languages involved. In brief, the names in "minni"/ "minny" are difficult in that (as Watson explains at some length op.cit. pp.391-407) this seems to represent at least 3 different words: monadh, moine and muine. The original meanings of these words seem to have shifted with their migration from Ireland to Scotland (and perhaps their use within Scotland as well) but, as far as I can make out, monadh means "upland grazing, moorland", muine is "thicket, shrubbery", and moine is "bog, moss". Only three of your examples seem to have earlier recorded forms: Minnigaff (NX4166) was 1504 Monygof (second element is "smith"? ); Minnygap was c.1370 Monygaip, -kip, -kipper, Munygep, Mungep (second element is G. ceap "block"? ); and Minniwick was 1602 Mynivick (perhaps to be compared with *Minuirc, a stone where a battle was fought in 717, and where the second element is uirc "roebuck"). Maxwell (op.cit.) suggests the second element in Minnigall is "stranger" or "standing stone". I have no idea what the second element in Minnygryle might be, and I do not know what Minny E'Hill represents, but both of these are located in fairly elevated positions. Minniwick is associated with Minniwick Moss, and Minnigall Lane is a small tributary watercourse, so perhaps both of these indicate moine "bog, moss". An interesting counter-example for the first element is Daphne Brooke's examination of the obsolete *Menybrig (Transactions of the Dumfries and Galloway Natural History and Antiquarian Society, ns LXXI, 1996, p.115f) which she demonstrates to be old British Maen-y-brig "stone of the ....", perhaps from the even older Brigomono (found in the "Ravenna Cosmography"), located somewhere near NW9856. This is found as 1426 Menybrig, 1487 Men-y-brig, and 1499 Monybrig, but this last is perhaps from an assimilation to the more familiar Gaelic mony- forms." The Vikings, who raided and settled the Shetland Isles may be responsible for the Minni element in this region. The Vikings mythology had at it's head the god, Odhin. He was accompanied by two ravens' Huginn and Minni.